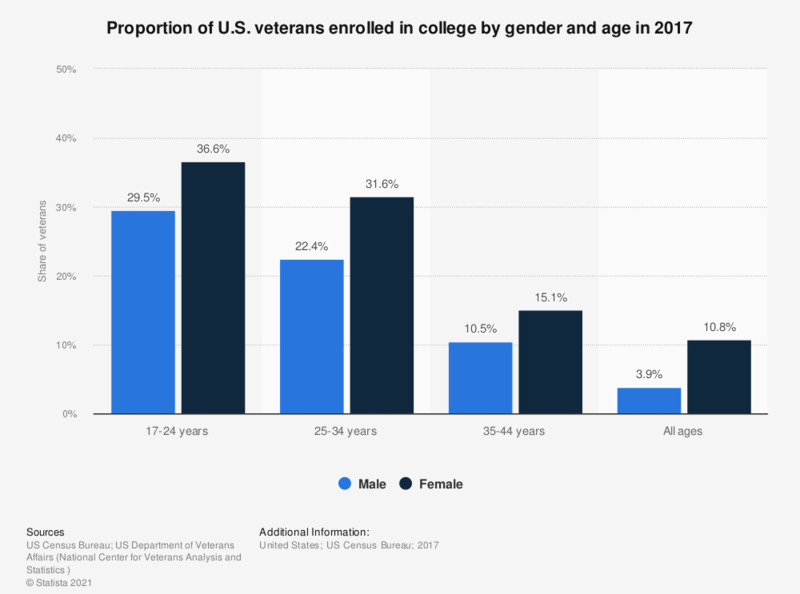 This graph displays the share of veterans enrolled in college in the United States 2017, distinguished by gender and age. In 2017, about 10.5 percent of U.S. male veterans aged between 35 and 54 years were enrolled in college. “Enrolled in College” includes enrollment in undergraduate years (freshman to senior) or enrollment in graduate or professional school (beyond a Bachelor’s degree).